Inside Gaming: Rio All-Suite and Casino & Caesars sales rumors spark speculation about WSOP future. Back in early March in this space we passed along some talk circulating about regarding a possible sale of the Rio All-Suite Hotel and Casino in Las Vegas, a topic of special interest to poker players since the Rio is the current site of the World Series of Poker. 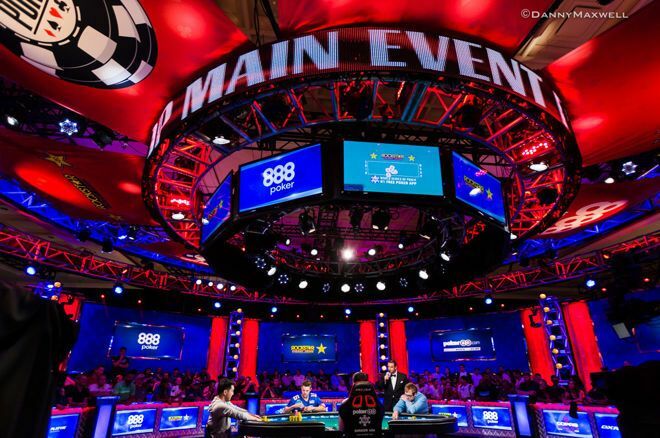 Indeed, the 2019 WSOP — the 50th annual gathering of poker's most famous series — kicks off at the Rio in a little under six weeks when the first of a record 89 bracelet events gets underway on May 29. This will mark the 15th year the series has played out at the Rio, as it was 2005 when the WSOP first moved there from Binion's Horseshoe where it began in 1970. That year all events took place at the Rio including the Main Event, save the last two days of the Main where they returned to Binion's for the finale. This week talk of the Rio being sold emerged once again, and while the discussion remains firmly in the "speculative" category with nothing having been confirmed, the discussion is starting to get more specific about both the possible sale of the property by Caesars Entertainment and the subsequent relocation of the WSOP. A tweet from @LasVegasLocally late Wednesday night reported both the sale of the Rio and plans for the property being demolished were in the works. CardsChat followed up with Las Vegas Locally, an "insider" source for Vegas-related news, who added that Caesars has indeed been working on selling the Rio for a year and that the sale may actually occur "in the next couple of weeks." Meanwhile reports of Caesars Entertainment being sold — another story we've occasionally referenced here at IG — also resurfaced this week, and also with a few more details thrown in to add additional intrigue. The New York Post fueled that discussion with an article appearing Wednesday stating Caesars Entertainment "is getting ready to put itself up for sale as soon as this week" after the company's board "approved a sales process amid pressure from billionaire investor Carl Icahn" who owns around 10 percent of Caesars. We noted in February how Icahn has been reportedly pushing for such a sale to occur for a while now. Icahn's influence over Caesars' future will reportedly increase should the company fail to install a new, permanent CEO by April 15. Icahn currently controls three board seats and would gain a fourth should there be no CEO, according to a prior agreement. Late last year it was announced that CEO Mark Frissora would be stepping down from the position, although no replacement has been named as yet. Also reported in the Post piece (that draws upon unnamed sources) is a suggestion that Tilman Fertitta could be among the interested buyers given that he "was recently invited to conduct due diligence using the casino company's records." Fertitta currently owns multiple casinos in Las Vegas and elsewhere, the restaurant corporation Landry's Inc., and the Houston Rockets NBA franchise. Unsurprisingly, no one from Caesars is saying anything as yet, with a spokesperson declining to comment to the Post. KLAS-TV also reached out both to Caesars and other parties potentially involved in the sale, with only Caesars returning a "no comment" in response. We're looking at contingencies within contingencies here, then. In any event, while preparations for the 2019 WSOP are in full swing, we may find out sooner than later whether or not this will be the last year the Rio plays host. We'll round out this week's report by staying in Las Vegas, moving back downtown to talk about construction getting started on the first new hotel-casino to be built there since 1980. Back in January we told you about developers Derek and Greg Stevens' new project, the Circa Resort & Casino to be built on the site formerly occupied by the Las Vegas Club, the Mermaids Casino, and the Glitter Gulch gentleman's club. The Circa will feature a 44-story hotel with 777 rooms, a split-level casino, five restaurants, an outdoor bar looking out on the Fremont Street Experience, and a parking garage. There will also be a six-tiered pool amphitheater with a 125-foot high screen to watch sporting events and other programs — "the biggest sportsbook screen in sportsbook history," say the owners. "Today marked one of the first of many incredible moments in the story of Circa," remarked Derek Stevens on Tuesday, the day of the first "Big Pour" of concrete. 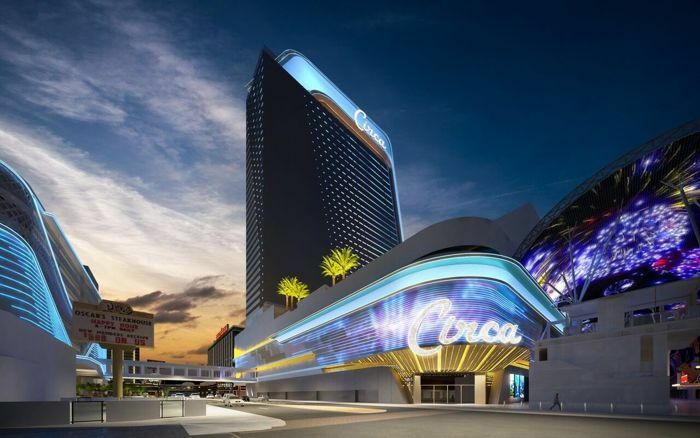 "We are literally and physically laying the foundation for what's to come and can't wait to introduce Circa's exciting new offerings to the 24 million people that visit Downtown Las Vegas every year." Be sure to complete your PokerNews experience by checking out an overview of our mobile and tablet apps here. Stay on top of the poker world from your phone with our mobile iOS and Android app, or fire up our iPad app on your tablet. You can also update your own chip counts from poker tournaments around the world with MyStack on both Android and iOS. Throwback Thursday: Did Jake Cody Miss Chris Moorman's Stag Party? Meme Slots: Play Meme Faces and PandaMEME Online for FREE! Day 3 @Irish_PokerOpen main, 3rd in chips with 100ish left.